Augmentation of the alveolar bone is often necessary to prepare a site for implant placement. There are several modalities of osteo-conductive materials and techniques for edentulous ridge augmentation, including various types of bone grafts and different membranes for guided tissue regeneration. More recent developments added the possibility to incorporate osteo-inductive proteins and cell preparations to the surgical sites. Each one of these materials and techniques can be used alone or in combination with others, and has its own properties, handling characteristics, and specific indications. 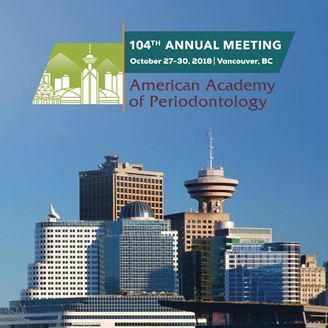 This presentation will focus on examining the mechanisms of action and clinical indications for the use of materials intended to be used in the augmentation of the edentulous alveolar ridge, and provide details about the surgical execution of such procedures in order to increase success and predictability. The presentation will be rich in clinical cases and supported by scientific evidence. • Grasp the principles of action of bone grafts, membranes for guided-bone regeneration, and biological modifiers in the context of new bone formation. • Identify the indications of the various modalities of hard tissue regeneration materials and techniques. • Discuss surgical details related to the use of bone grafts, guided-bone regeneration, and biological agents as to maximize outcomes and prevent complications. • Provide scientific evidence to support the use of regenerative surgical materials and techniques is selecting specific cases for treatment.